Amazon founder Jeff Bezos is to launch a $2bn (£1.53bn) fund to help homeless families and launch pre-schools in poor communities. 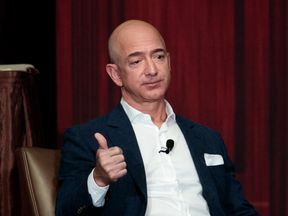 The world's richest man made the announcement on Twitter a year after he asked for ideas on how he could use his personal fortune - estimated to be about $163bn (£124.34bn) - for charitable efforts. The Bezos Day One Fund will contribute to "existing non-profit organisations that help homeless families" and also fund "a network of new, non-profit, tier-one pre-schools in low-income communities," he wrote. Organisations will be given grants for "doing compassionate, needle-moving work to provide shelter and hunger support to address the needs of young families". He said: "We'll use the same set of principles that have driven Amazon.